I wrote my first "book" when I was about 5, and it probably had more staples than words in it. Since then, I've refined my command of language a bit. I majored in English at Brown, and I've worked as an editor pretty much ever since I graduated, with a brief stint in tech writing, while hopping all around the country, from Boston to San Francisco to Seattle to Tennessee (Seattle is best). 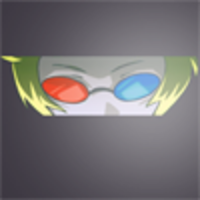 And yes, that is Sollux Captor in my profile picture. After initially being intimidated by APA style, I have come to see it as my "native" language in editing because of how many scientific articles I've edited. I also love to work on fiction, especially fantasy and science fiction, both of which I write myself. Papers in the humanities are right in my wheelhouse. I have a lot of experience with technical topics like programming, and I enjoy them, too. My tech writing experience was all in software. I also like personal statements and admissions essays. One thing I love about Kibin is the variety of subjects I get to work on. I've worked for three major publishers of computer books, on titles ranging from high-level programming-language reference tomes to less intimidating books intended for end users, so I know my way around technical texts. In addition to my work at Kibin, I work on scientific research papers for publication, and I'm familiar with several styles used by different journals. My degree is officially in English & American Literature, and I focused on medieval literature. I've also read widely in various genres of fiction, and have a particular interest in science fiction, fantasy, and romance. Work on my own writing, train for marathons, and plan exactly what I'll say to convince the Doctor to take me with her. Looks amazing! Thanks for all your help! Thank you for your thorough explanation of changes and quality feedback! Dear Ellie; I would like to thank you for comments provided and edit my paper in a way shown more professional and sophistic. I accept all corrections and fix area areas that need more clarification. I am really happy and impressed by the services provided by Kibin team, and this is my second experiences and not the last !.